Meeting of Hackney’s licensing sub-committee. Cllr Emma Plouviez (2nd from right); licensee Byron Evans (far left). Photograph: Ed Sheridan. A Shoreditch club has been shut down for three months after police blamed the venue’s late opening for a fatal stabbing. 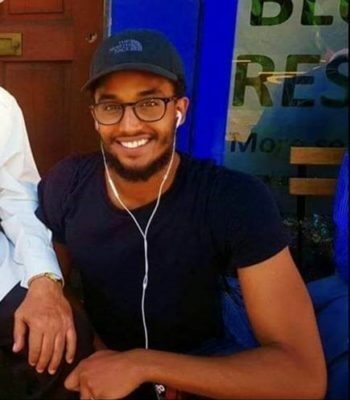 Zakaria Bukar Sharif Ali, 26, was attacked outside Kingsland Road’s Rolling Stock on shortly after 6am on 24 November, just after the club had closed its doors. Ali died two hours after his injuries were inflicted. Rolling Stock had been denied a temporary event notice (TEN) for regularly-held Romanian DJ event Vibe that evening by police due to the lack of any risk assessment. The club went ahead with its late opening regardless, which the venue claimed happened as a result of management not seeing the emails denying them permission. PC Neal Hunwick said: “A member of the public attempted to intervene in an argument. “As a result of that intervention, he received a stab wound to the abdomen directly outside Rolling Stock. He was later transferred to hospital, where he died of his injury. “It is simply our conjecture that as a result of the venue being open beyond its hours, these individuals were in the same location at the same time, which otherwise they would not be. Licensee Byron Evans stated at a meeting of Hackney Council’s licensing sub-committee that the emails arrived on their “busiest day, with artists turning up and soundchecking to be done. We just missed it. 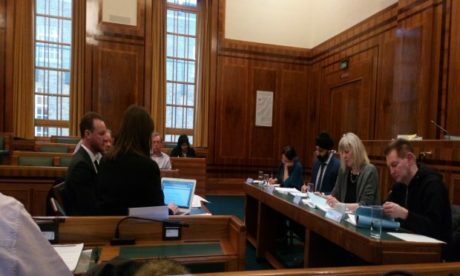 Cllr Emma Plouviez (Lab, London Fields), who chairs Hackney Council’s licensing committee, stated that she herself took some responsibility in her role in granting Rolling Stock’s licence. Cllr Plouviez said: “Having been in the position of having granted the extra time [to Rolling Stock’s opening hours], I feel myself equally culpable in not having seen a not very strictly licensed premise for such a large venue. Police released CCTV footage of a man they believe may have been involved in the altercation in December, having arrested an 18-year-old woman on suspicion of assisting an offender. The woman was later bailed pending further enquiries. Zakaria Bukar Sharif Ali. Photograph: MPS. Licensee Byron Evans said: “It’s a bad tragedy for the family of the deceased. My family goes back six generations in Shoreditch. “A lot of them still live in the area, and my son goes to the school just up the road. “We don’t want to see any knife crime in our area. I was saddened to have heard what happened to the gentleman. Evans will now have three months to impose upgraded security measures to the club, including compulsory weapons searches with specalised wands and ID scanners.